The Maternity Belt is a hugely popular belly band support for women who want a comfortable and most importantly, safe support throughout their pregnancy. Working with the experts at the London Spine Clinic, we have learnt over years of research that medication is not always the answer when you’re experiencing pain and discomfort. We also understand that it’s not always easy to perform the stretches and exercises recommended to release tension. However tolerating the pain doesn’t have to be the answer either. The Back Maternity Belt integrates hot and cold therapy with a compression belly support belt, providing the perfect solution to your support and pain relief needs. Created using premium, insulated fabrics, the belt will mold to and with you throughout the pregnancy. The specially designed compression straps adjust along with your body as it changes, giving you the exact compression and support precisely where you need it, when you need it. The hugely popular therapy packs provide hot and cold therapy for hours on end to help relieve those horrible aches and pains experienced throughout your pregancy journey. Simply put in the freezer/microwave, they hold in place with extra comfortable, lightweight fabrics. 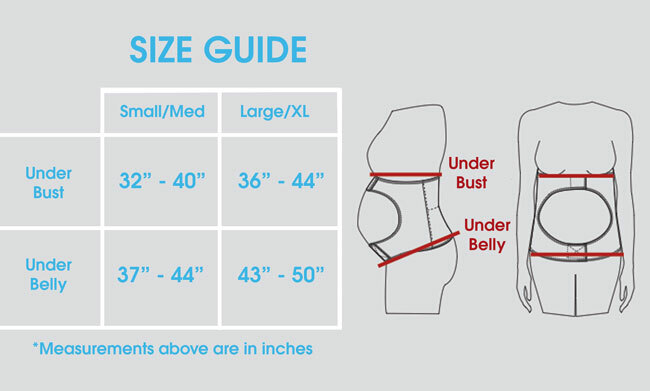 Be worry free knowing that the maternity belt is designed and manufactured to the highest quality. Using only premium insulated fabrics for extra safety and comfort when using the therapy packs and brace. Back aches and pains don't have to be part and parcel of your pregnancy. Lightweight and breathable, the Maternity Belt is made with maximum comfort in mind, so that you can go about your day supported and pain free. How long can I wear the Maternity Belt for? We recommend that the Maternity Brace is worn for 3-4 hours per day. This is regarded as the optimum time to wear the brace for. The brace should be worn for no longer than 8 hours per day. Can I wear the Maternity Belt while I sleep? Yes you can wear the maternity belt to bed however if you find it uncomfortable we recommend you try wearing the belt for a couple of hours in the evening before bed. Is it better to use the Maternity Belt with hot or cold therapy? 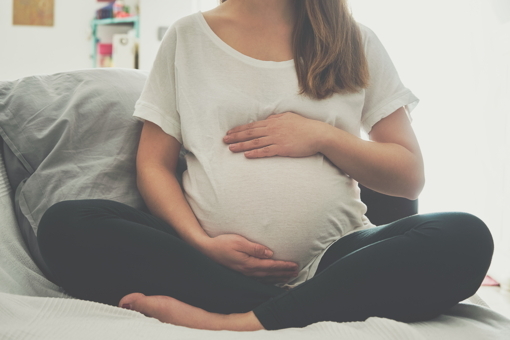 It is personal preference between hot and cold therapy (we like to alternate) as they are both brilliant and safe forms of therapy in relieving aches and pains during the maternity period. How do I wash the Maternity Belt?